Product prices and availability are accurate as of 2019-03-29 17:42:00 EDT and are subject to change. Any price and availability information displayed on http://www.amazon.com/ at the time of purchase will apply to the purchase of this product. BEWARE:IF THE LISTING HERE DOES NOT SAY SHIPPED AND SOLD BY THE CALIFORNIA SEED AND GARDEN COMPANY THEN YOU ARE NOT BUYING FROM A CERTIFIED NURSERY. 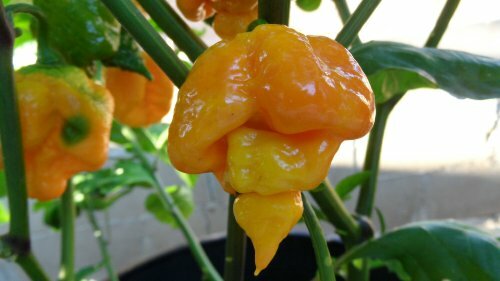 Trinidad Yellow 7 Pot-(Capsicum chinense)- is a natural variant of the Trinidad 7 Pot. It has a lower heat level than the Trinidad 7 Pot but also has a nice fruity almost Pineapple like flavor. The pods mature from green to bright Yellow and if left on the plant long will get slightly orange. 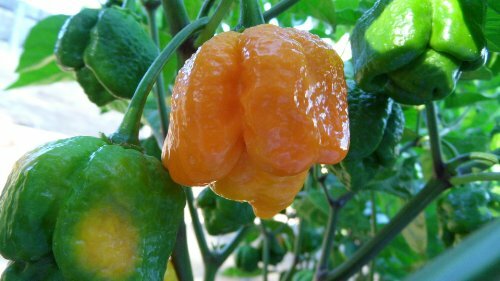 The pepper pods also can get up to a huge 14 grams in size which makes it one of the largest capsicum chinense varieties in the Caribbean.